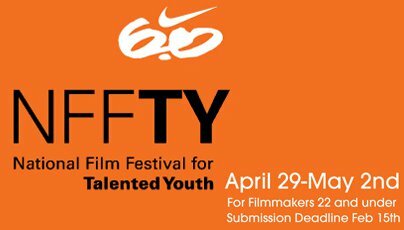 Nike 6.0 is partnering with NFFTY (National Film Festival for Talented Youth) to add an Action Sports Category to the largest and most influential film festival and support organization for filmmakers 22 and under. The action sports category is open to any short film (30 minutes or under) that represents, showcases or is inspired by Action Sports, including skateboard, snowboard, surf, moto, wake, BMX, or freeski. 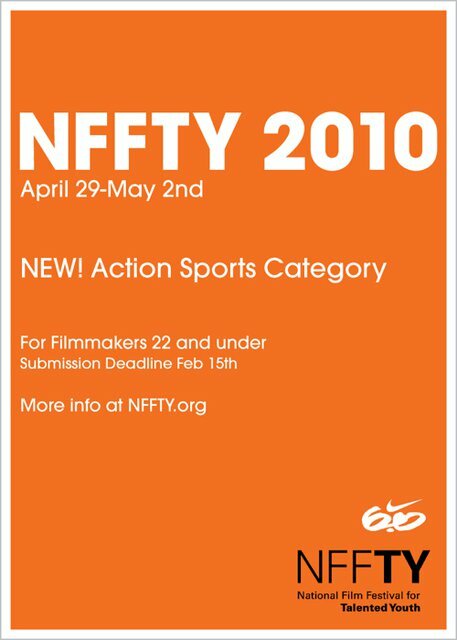 In order to meet eligibility criteria for NFFTY 2010: 1) the film&rsquo;s director must have been 22 years old or younger at completion of filming; 2) all music and other copyrighted material used in films must be original or filmmaker must have obtained permission from the owner; and, 3) the film must be in English or subtitled in English. Submission deadline for the action sports category is February 15th. NFFTY 2010 will be held April 29-May 2 in Seattle with over 100+ film screenings, film making workshops, and opportunities to meet and network with industry professionals. Submission forms and film uploads can be completed at http://www.nffty.org. NFFTY (National Film Festival for Talented Youth) was founded in 2007 with the goal of becoming the largest and most influential film festival and support organization for filmmakers 22 and under. NFFTY occurs annually each spring in Seattle, Washington and includes 100+ film screenings, filmmaking workshops, and concerts by youth bands, and opportunities for young filmmakers to network with industry professionals and each other. NFFTY is a core program of The Talented Youth, a non-profit arts organization. In a heartbreaking turn of events, the progressive and talented skier will not be able to compete in the 2018 Olympics. Hint, the lineup is stacked.